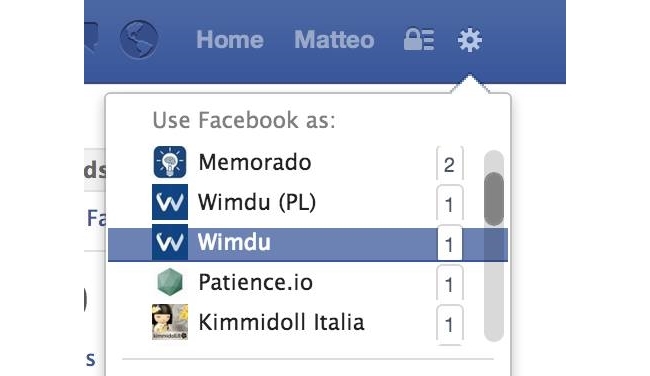 ‘Use Facebook As’ Tweaked For Page Admins? Facebook appears to be testing a feature that would greatly benefit page administrators who manage multiple pages -- the ability to scroll through all of the pages they manage in the “Use Facebook As” option. Facebook appears to be testing a feature that would greatly benefit page administrators who manage multiple pages — the ability to scroll through all of the pages they manage in the “Use Facebook As” option. 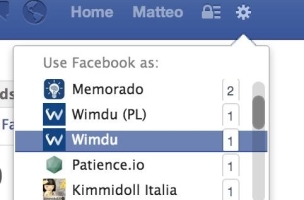 Reader Matteo Gamba of Patience shared the screenshot above, saying that the social network previously limited page admins to the top five entries, rather than allowing them to scroll down a list and choose any of the pages they run. Page admins: Have you seen this?